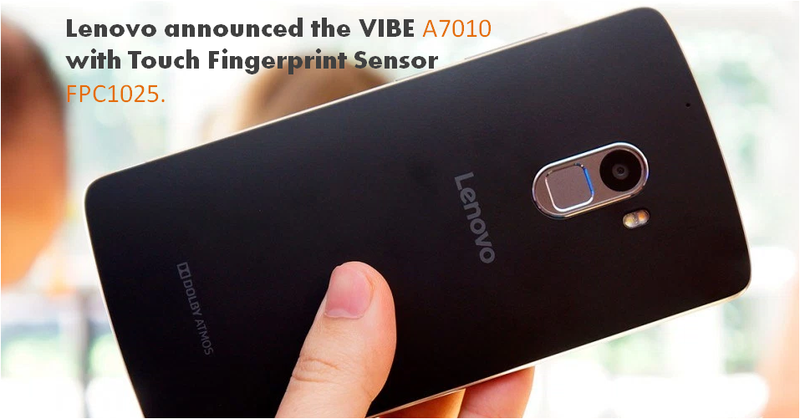 Lenovo announced their Android Smartphone (VIBE A7010) featuring FPC’s touch fingerprint sensor FPC1025. Lenovo has launched the Lenovo VIBE A7010 smartphone that comes with the Fingerprint sensor. It sports some good mid-range specs and affordable phone. FPC1025 supports 360 degree finger rotation capability, fast response time and industry leading 3D image quality.